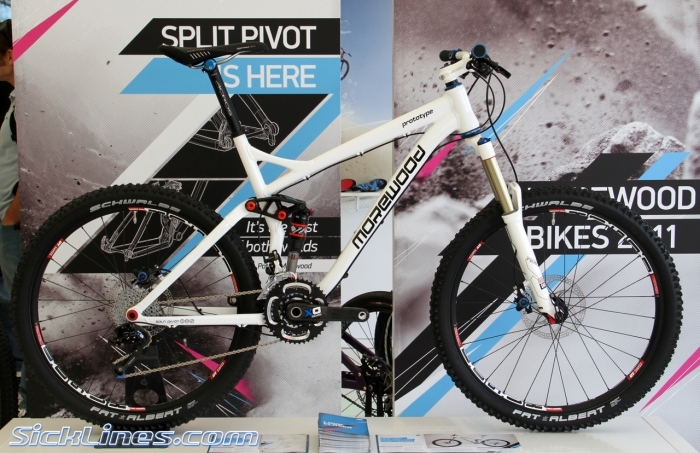 Morewood Bikes has gotten together with Dave Weagle to offer a new 150mm travel trail bike with the newly patented Split Pivot suspension. 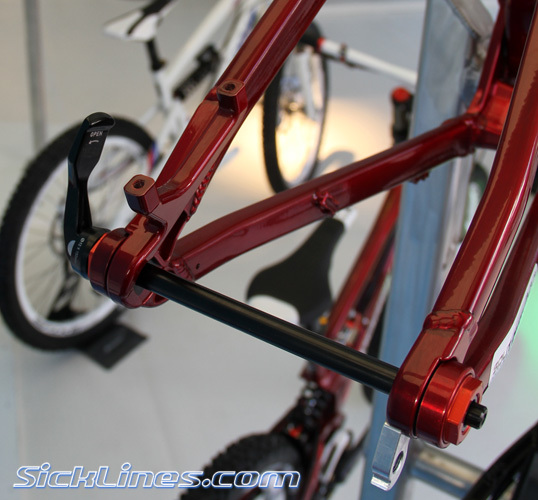 Check inside for photos of the new prototype as well as video with Dave Weagle himself explaining the suspension design. Patrick Morewood and his team have worked tirelessly to bring to market what is perhaps the most anticipated frame in the company's history. Licensing Dave Weagle's famed design, this finely tuned trail bike has all the characteristics that riders have come to love and expect from us. Split Pivot fits the 150mm travel platform perfectly. This bike is a prototype but will still look very similar when it comes into production. Release date is set for February/March of 2011. With this bike they've felt they've been able to acheive the best of both worlds. Being able to help incoproate new damper designs into a more tunable fashion with their control link, the 150mm bike is designed to excel on the trail. 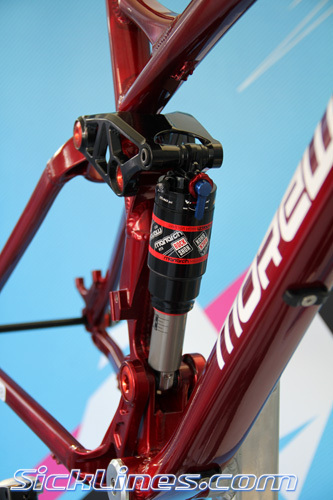 Tapered headtube for additonal strength and allow for the usage with the current range of tapered forks and headsets. 142mm x 12mm rear end. This means the dropouts are keyed much like a front wheel and the wheel drops simply into the dropouts with confidence. The hangers are easy to replace too which is a treat. 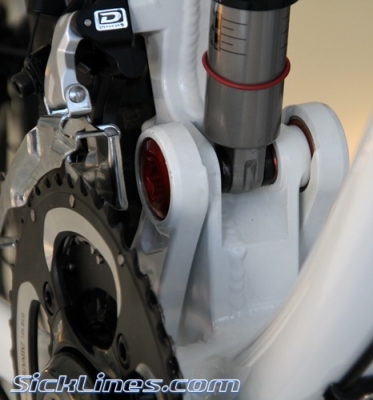 Rear disc mount is post mount so the brake caliper bolts directly to the frame. Front derailleur area will see some minor tweaks to allow for more clearance but the use of the direct mount derailleur simplifies front derailleur setup as riders will be able to set their derailleur up easier since they will only have to worry about having to align the derailleur vertically as it sits on a rail. Geo will be quite aggressive for Morewood. They're still finding that sweet spot on a few measurements but expect around a 67.5º HA and a lower bottom bracket than their previous 150mm bikes. 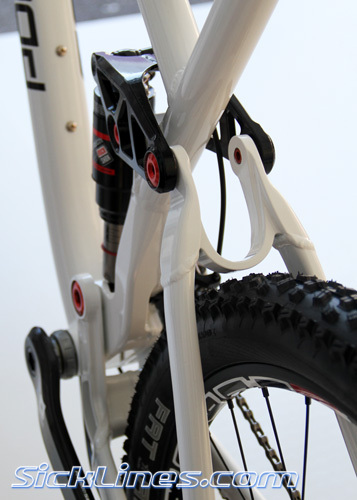 The 150mm bike will certainly open the door up I think for Morewood in terms of being able to fine tune their bike range and in the future will include more Split-Pivot models. 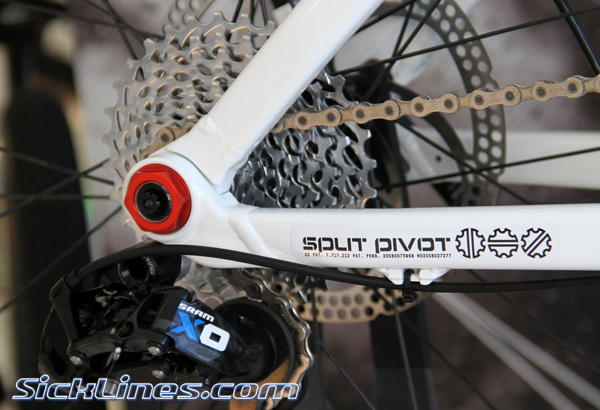 Split Pivot is a patented suspension system for high performance bicycles, where traction, efficiency, manoeuvrabil- ity, and frame stiffness are important factors on the track and trail. The heart of the new suspension design features a concentric dropout pivot. 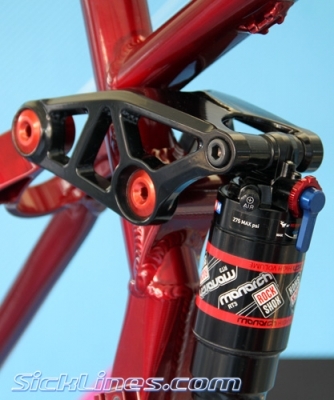 Together with Dave Weagle's competi- tion proven engineering and testing process, Morewood have engineered a frame to combine the best performance traits of single pivot and long-arm linkage suspensions. Split Pivot is all about having fun on the trail, and each unique suspension layout is designed to offer a ride that will make you smile regardless of your riding style or ability. The Split Pivot concentric dropout design separates acceleration forces from braking forces in the suspension. The system reduces excess suspension reaction to accelera- tion forces, and at the same time reduces excess reaction to braking forces. Braking neutrality can be tuned independently of acceleration characteristics, and suspension feel can be tuned by varying leverage ratio curves. 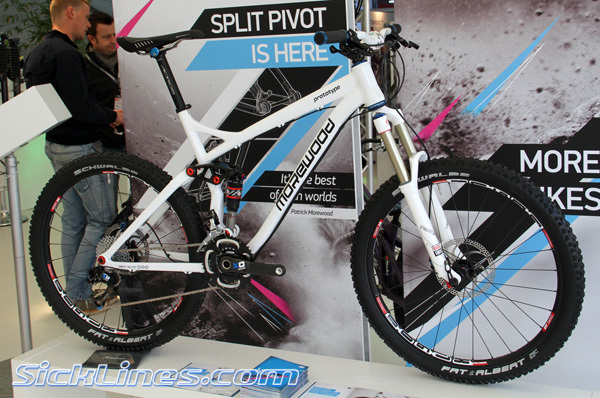 With so many possible mechanical layouts, not every Split Pivot bike looks or performs the same. But therein lies the beauty, because it allows us to create the perfect tool for the job. And we have. What an nice bike!!! Can't wait to see it and try it!